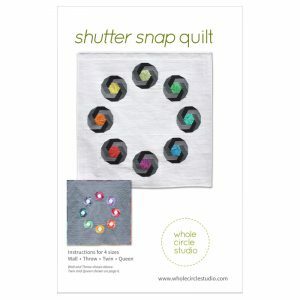 This 16″ x 16″ quilt is great as a wallhanging for your sewing room. 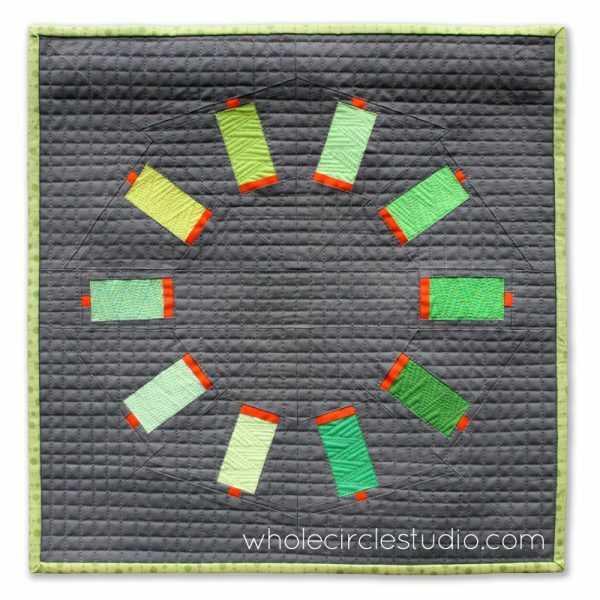 Make additional blocks to construct a larger quilt—layout ideas included in this pattern. 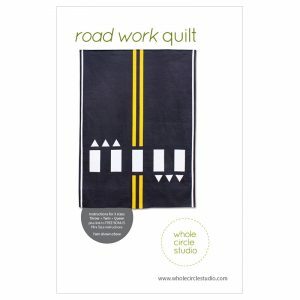 This is a digital pattern (PDF download to computer). 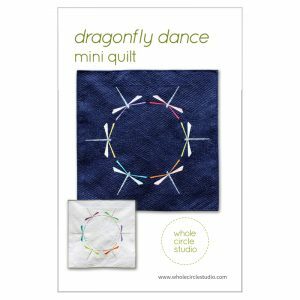 The link to the PDF pattern will be delivered via email after you checkout—please note: you will be asked for a billing address, but you will not be required to enter your credit card number. digital pattern (PDF download to computer). 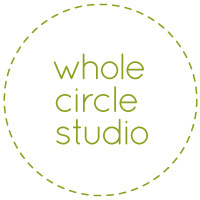 The link to the PDF pattern will be delivered via email after your checkout process is complete. The email you receive will include the link to download the file to your computer. 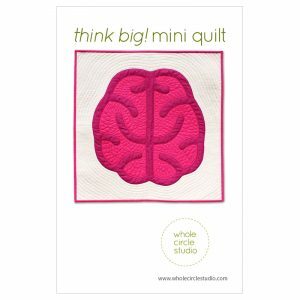 Make multiple blocks and construct a larger quilt. Sew Many Colors is a tribute to my favorite brand of thread using one of my favorite piecing techniques—foundation paper piecing. 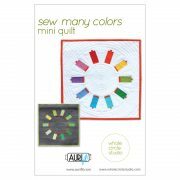 I designed the original Sew Many Colors mini quilt as a donation to the Quilt Alliance annual fundraiser in early 2016. 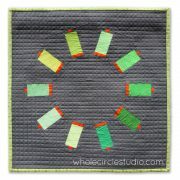 The original design contained 12 spools. 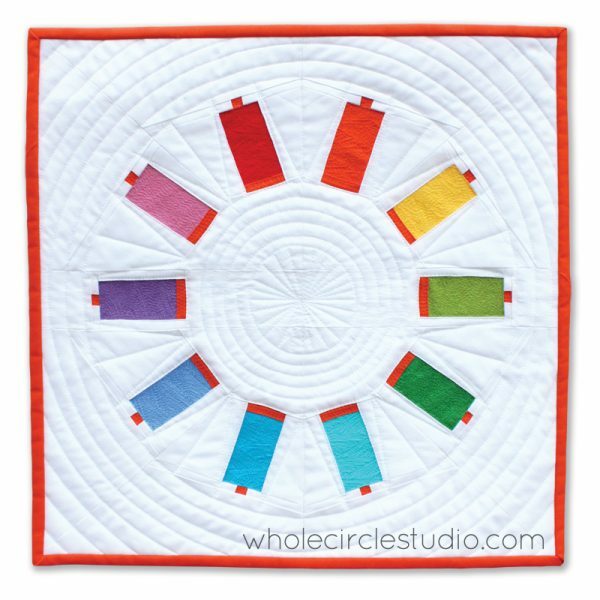 This updated version contains 10 spools, at actual size, to celebrate the 10th anniversary of Aurifil USA in 2017. 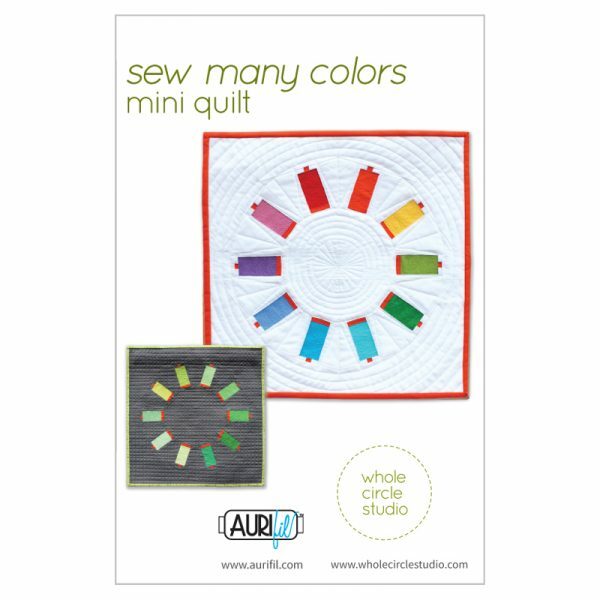 Read more about the Sew Many Colors quilt here.